Last week, the Senate Health, Education, Labor, and Pensions (HELP) Committee formally began to consider the reauthorization of the Carl D. Perkins Career and Technical Education Act (Perkins). As has been the case since the 113th Congress, Senators Mike Enzi (R-WY) and Bob Casey (D-PA) have been designated by the committee to lead efforts to renew this important law. Improve evaluation and research to support innovation and best practices. This week groups were asked to submit specific recommendations to the committee for the lawâ€™s renewal. NASDCTEc, in conjunction with the Association of Career and Technical Education (ACTE), submitted substantial legislative recommendations to the committee earlier this week based on our board-approved Perkins recommendations. A crosswalk of this submission with the above principles is available here, information related to Title I & II recommendations can be found here and here, and a document highlighting points of intersection between this proposal and the Workforce Innovation and Opportunity Act can be accessed here. So far no firm timeline has been set for a formal bill to renew Perkins. As with the Perkins-related hearing in the House this past Tuesday, these are just the first steps in what will likely be a much longer reauthorization process. As things continue to evolve, be sure to check back here for more Perkins updates and analysis. As weâ€™ve been sharing, the House of Representatives has been struggling to find a replacement for Speaker of the House John Boehner (R-OH) following his surprise resignation announcement in September. Last week the House GOP began to coalesce around House Ways and Means Committee Chairman Paul Ryan (R-WI) as their preferred replacement for Speaker Boehner. Yesterday morning, the full chamber moved to elect Rep. Paul â€œD.â€ Ryan, elevating him to the Speaker of the House. Competing for attention during the month-long melodrama of the House leadership race has been continued partisan disagreements on how to fund the federal government past December 11th and avert a catastrophic national debt default. Both of these issues, and many more, seem set to be resolved with the announcement earlier this week that Republican Congressional leaders and President Obama had reached a wide ranging agreement on federal spending and the nationâ€™s borrowing limit. The Bipartisan Budget Act of 2015 (BBA) would provide approximately $80 billion in sequester relief over the next two fiscal years by temporarily raising current limits on federal spending (known as sequester caps) through FY 2017. These increases would be split between defense and non-defense discretionary programs, potentially providing additional funding for programsâ€”such as the Perkins Act basic state grantâ€” over the next two years. The deal also suspends, but does not raise the nationâ€™s â€œdebt ceilingâ€ through March 15, 2017. Both aspects of the BBA would push ongoing partisan disagreements over federal spending and the nationâ€™s debt limit until well after the upcoming Presidential election. This Wednesday, the House of Representatives voted to pass the BBA on a margin of 266-167â€”a move made possible by Speaker Boehnerâ€™s imminent departure (a substantial portion of the House Republican Caucus did not support the measure which is at odds with an informal Republican Caucus rule that no legislation be considered unless a majority of the majority supports a bill). The BBA now moves to the Senate where Majority Leader Mitch McConnell (R-KY) has filed a cloture motion that will allow the full chamber to vote on the legislation sometime this Sunday or late on Monday. While the BBA is an extremely positive step in the right direction, the legislation simply creates a broad framework for federal spending. Once passed, Congressional appropriators will need to establish new 302(b) allocationsâ€” the amount of money made available for each portion of the federal budgetâ€” for each of the necessary individual spending bills. This includes the Labor-HHS-ED appropriations bill where the Perkins Act draws its funding. Put another way, the BBA will make more money available for federal discretionary programs like Perkins, but Congress must pass separate appropriations legislation to make that a reality. The new availability of funds should make it easier for appropriators to restore the massive cuts to education that were proposed by both the House and the Senate earlier in the year. However, the discussions over specific funding levels for programs like Perkins will only get started once Congress passes the BBA, so full restoration is by no means assured. These pieces of legislation, or a larger package including all or some of them, would replace the current â€œcontinuing resolutionâ€ that is funding federal programs through December 11th. 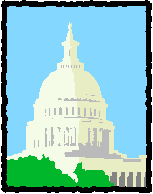 As the Congressional appropriations process continues, be sure to check back here for the likely impact on Perkins funding and much more. Last week, the Senate CTE Caucus hosted a briefing with CNA Education who presented findings from a comparative case study on CTE programs in Tennessee and Florida. An executive summary of the report can be accessed here. First Lady Michelle Obamaâ€™s Reach Higher Initiative recently announced a campaign to encourage more 14-19 year olds to pursue some form of education beyond high school. More can be found at bettermakeroom.org. The Obama Administration is facilitating a national conversation on transforming high schools to better serve all students. Additional information can be found here. A lot has happened over the past few weeks on Capitol Hill, particularly with regards to Fiscal Year (FY) 2016 funding and recent shake-ups in Congressional leadership. With fall in full swing, we wanted to take a moment to re-cap all of the activity over the past few weeks as we look ahead for what the rest of the year has in store for the Career Technical Education (CTE) community. Below is Part I in a two-part series of autumnal legislative updates. Late last month, Speaker of the House John Boehner (R-OH) announced that he we would resign from Congress at the end of October. This surprise announcement set off a chain of events over the past several weeks that has already begun to have wide-ranging consequences for nearly every facet of the Congressional agendaâ€”a list that has grown increasingly long as lawmakers delay action on important issues such as raising the nationâ€™s debt limit and funding federal government operations past this December. Up until last week, Speaker Boehnerâ€™s likely successor was current Majority Leader Kevin McCarthy (R-CA). McCarthy was favored by most of the Republican establishment to replace Boehner, but a vocal conservative bloc of the Republican Partyâ€” known as the â€œFreedom Caucusâ€â€” strongly opposed his candidacy. Despite this opposition and with a few other less plausible candidates in the running for Speaker, McCarthy was set to announce last Thursday that he had secured the necessary 218 votes within his Party to ensure his rise to Speaker of the House. However instead of making this announcement, the Majority Leader abruptly announced that he was no longer seeking the Speakerâ€™s gavel. Since that time there has been an extraordinary level of uncertainty regarding who will lead the House Republican Caucus moving forward. Speaker Boehner has made clear that he will stay on in his current role until a replacement is found, but an election to determine who that will be has been postponed indefinitely. At present it is unclear who will fill this role in the coming weeks or even months. Any viable candidate for the job will have the unenviable task of balancing the increasingly opposed interests of two influential wings of the Republican Party all while trying to avoid a catastrophic default on the nationâ€™s debt if Congress does not act to raise the federal governmentâ€™s borrowing limit by November 5thâ€”a deadline laid out by the U.S. Treasury Department that is fast approaching. The intraparty division in the Republican Party is equal parts ideology and political approach. Staunch conservative elements in the GOP are pushing for a new Speaker who would be willing to use the debt limit deadline and the need to fund the federal government later this year as leverage to advance a legislative agenda that is completely anathema to Congressional Democrats and President Obama. More â€œestablishmentâ€ Republicans have been less willing to use these twin deadlines as a political tool, calculating that the risks of going over a â€œfiscal cliffâ€ (failing to raise the debt ceiling and / or causing a government shutdown) far outweigh the potential benefits. Finding a candidate for Speaker who is able to placate these opposing factions has resulted in the current impasse in finding a suitable replacement candidate and has had a rather ironic short-term consequenceâ€” ensuring that Speaker Boehner remains in the top post of the House Republican leadership for the foreseeable future. Right after Speaker Boehnerâ€™s announcement late last month, Congress was still struggling to pass appropriations legislation to fund the federal government. As we shared previously, both Chambers of Congress completed the 12 necessary funding bills that fund all federal programs. Despite this progress, these pieces of legislation all adhered to the sequester caps mandated by the Budget Control Act of 2011 (BCA)â€”a harmful program of austerity that imposes tight restrictions on federal spending well into the next decade. Because these bills would maintain sequestration and continue to perpetuate a path of federal disinvestment in education and programs like the Perkins Act, President Obama signaled that he would not sign them into law. Since that time, the bills have been in limbo and lawmakers have been unable to come to an agreement for how to fund the federal government for the upcoming 2016 fiscal yearâ€”something that was set to begin on October 1st. With only days left to pass legislation to fund these programs and avert a government shutdown, the Senate acted first passing a measure known as a continuing appropriations resolution (CR) to provide temporary funding for the federal government through December 11th. After passing through the Senate by a wide margin (78-20), Speaker Boehnerâ€™s resignation announcement helped to ensure that this short-term stopgap measure was able to pass through the House (277-151), albeit with significant Republican opposition. While this CR is meant to extend current FY 2015 spending levels for the next few monthsâ€”including for the Perkins Act basic state grant programâ€” a 0.2108 percent across-the-board spending reduction was needed to keep funding levels within the BCA sequester caps. Since Perkins funding is treated a bit differently than most other federal funds, this spending cut has retroactively impacted state grants from FY 2015 which were just distributed on October 1st. As a result, thirty states received slightly lower allocations than what they had previously budgeted for, all because Congress failed for the second year in a row to pass comprehensive legislation funding federal programs for the full fiscal year. As mentioned this particular CR will fund the federal government until December 11th at which time Congress must act again to pass additional legislation to avert another wasteful government shutdown. As a reminder the last time Congress failed to act to fund the federal government it cost U.S. taxpayers $24 billion. While the reduction to Perkins funding and other education programs may be small, future legislation is still needed to replace this CR. NASDCTEc is continuing to work with its partners in D.C. to urge lawmakers to pass comprehensive funding legislation that would replace the current CR (and the related 0.2108 percent cut) while possibly providing relief from the harmful effects of the sequester caps. Complicating Congressâ€™ ability to accomplish this is the continued uncertainty regarding House Republican leadership and an even more pressing deadline that is fast approachingâ€”the need to raise the nationâ€™s debt ceiling by November 5th. The last time Congress flirted with the idea of not raising this limit as way to extract political concessions on unrelated issues, credit agencies downgraded the U.S. credit rating for the first time ever and Congress passed through the BCA legislation and with it sequestrationâ€”something lawmakers at the time did not expect would ever go into full effect. 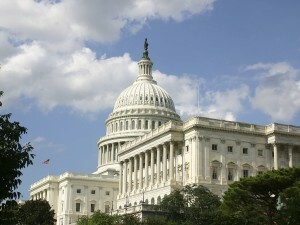 In order to move forward constructively, Congressional leaders and President Obama must come to a broader agreement on federal spending that would empower Congressional appropriators to design longer-term comprehensive legislation that would fund federal operations for a year or even two yearsâ€”a scenario that is still very much fluid as of today. As things continue to evolve, be sure to check back here for additional updates and analysis. Part II of this legislative update will be available tomorrow.